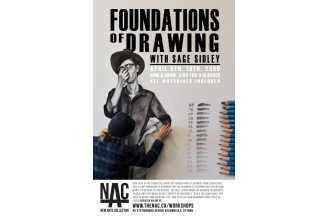 Join Sage Sidley in the studio to learn the foundations of drawing from square one. This 3-part workshop is designed for beginner to intermediate artists who want to go back to basics. You will learn hands-on drawing techniques, tricks, and tips. Build your drawings from start to finish.